We recently completed running the first of two pilot courses in Advanced Foster Care - Managing Complex Behaviour, which has been funded by the National Lottery Community Fund. The course took place over 6 weeks and aims to up-skill foster carers to prevent placement breakdowns. The course was led by deputy fostering manager, Margaret Gardiner, and fostering and adoption manager Catherine Moore and covered topics such as brain development and the impact of being in care and more. The course included instruction on non-violent resistance, from Sarah Fisher, and psychotherapist Julie Mikardo held a session with participants to explore themes from the course and personal learning. 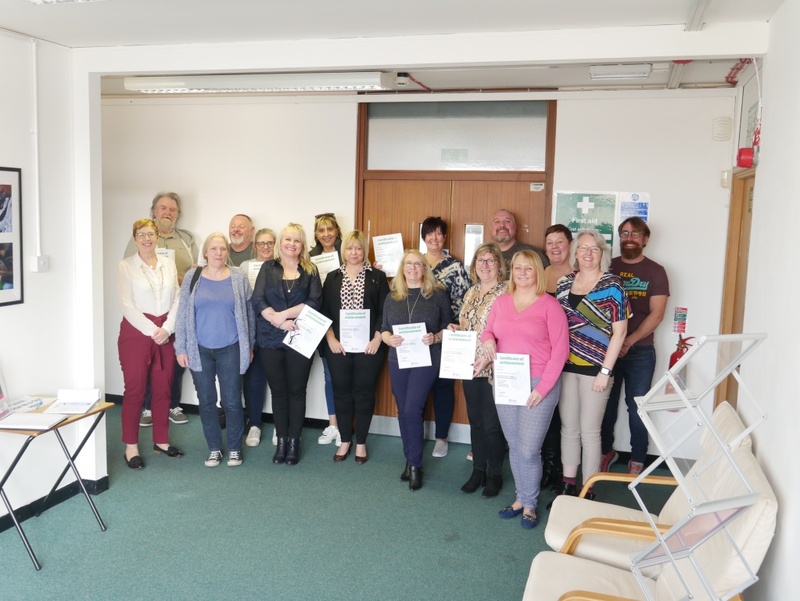 At the end of the training, foster carers were presented with a certificate of completion, which were presented by Diagrama Foundation CEO David McGuire. Another added: “An excellent course, with facilitators who are extremely knowledgeable and passionate about their subjects. Beneficial to all foster carers”. We will be running a second course at Camberwell Library on April 29/30 and May 7/13/20/21.